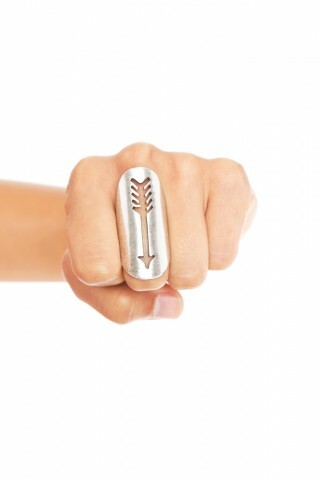 Love this unusual ring by House of Harlow! I've seen lots of lots of longer rings lately, some even covering the knuckle, but this still seems to stand out. Buy at Nasty Gal for $65.